By Easter 2018, the Start Bright Tus-T Water School Breakfast Programme expects to have served 100,000 breakfasts to children of the nation. 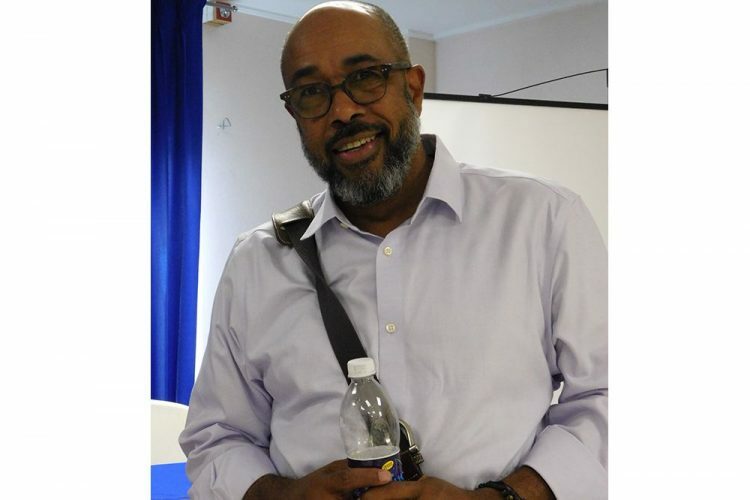 Speaking at a stakeholdersâ meeting last Thursday, Dwight Hillocks, founder of Tus-T Water Inc, disclosed that the breakfast programme has, so far, fed on a daily basis 420 students from 75 schools, out of 101 schools in the 11 school districts. He said coming out of the stakeholders meeting, decisions were made that will allow them to triple the number of students on the programme. Hillocks said the bold move to introduce the programme highlighted many issues that had not been initially taken into consideration. â… We now know what to avoid and what needs to be improved…,â Hillocks said. The Tus-T Water founder said stakeholders have looked at what they are doing correctly and will work together in order to be more efficient as they move forward. He explained that currently EC$17,000 per month is invested in purchasing the ingredients for the meals and that 25 cents from every Tus-T water sold is used to offset the monthly cost. The programme offers 10 nutritional meals, which are sanctioned by the Ministry of Health and made by teacher volunteers. Hillocks declared that soon, with increased efficiency and support, the 47,000 breakfasts that are supplied per term (over three months) will be done on a monthly basis. During the ceremony, the Stephanie Browne Government School of Union Island was announced as the organization that sold the most Tus-T Water and returned bottles for recycling. The competition, which originally had three different categories, was reduced to just one overall category, in order to accommodate the large number of the participants. There was no representative of the Stephanie Browne school present and so organizers pledged to send the award to the school.